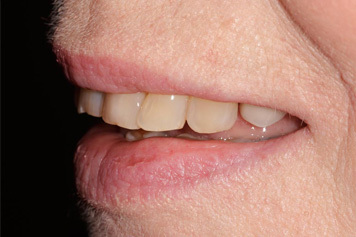 Porcelain veneers are an aesthetic option for restoring front teeth. They are an excellent choice for patients whose teeth have extensive decay or problematic gaps. 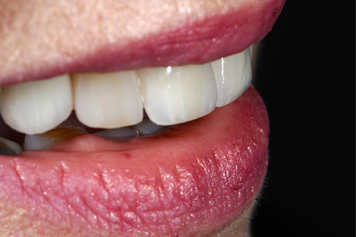 Crooked teeth may also be hidden with well-fitted veneers. They offer a better solution than other resin bonding techniques. They will not stain as easily and enable far greater proportional accuracy than resin bonding. They are a thin porcelain facing that is applied to the existing tooth after preparation or reshaping. There are a range of porcelain materials that we use and all are manufactured in our preferred high-quality laboratories in Melbourne. The process of applying porcelain veneers is revolutionary in terms of giving back confidence to people with cracked, chipped or discoloured teeth. 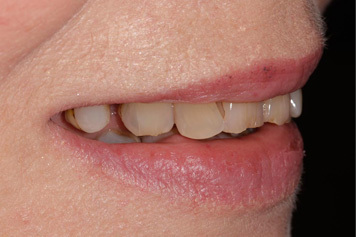 Veneers can also mask teeth with stained or defective fillings. They can improve not just the colour of your teeth but also their size and shape. At Dentist Collingwood in Melbourne we believe porcelain veneers to be one of the great developments in cosmetic dentistry. 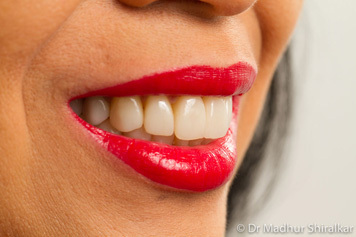 With the use of Digital Smile Analysis you can get an idea of what you would look like with porcelain veneers. Being directly involved in the process,you are more likely to achieve a satisfactory outcome. 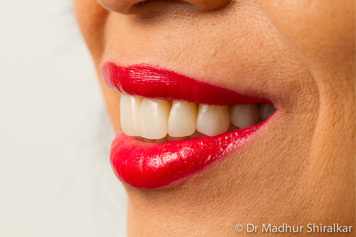 Whether you require minimal or major dental works, you will be more aware of the positive results that can be achieved. 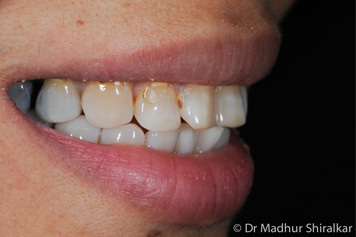 Some patients opt for a more natural finish while others are seeking a flawless smile. Either way we endeavour to fulfil your expectations. At Dentist Collingwood we provide a thorough examination and planning of your functional and aesthetic needs. 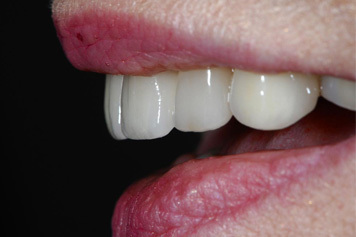 We explain in detail the process for fitting your porcelain veneers. Usually, the procedure requires multiple visits in which your teeth are reshaped to create the room required for each new veneer. Moulds of your prepared teeth are taken and when your new veneers are ready we cross check them against our original expectations to ensure the shape and colour are perfectly suited to your needs and wishes. 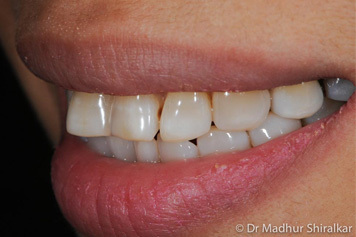 Once we are happy with your veneers they are bonded in place using resin. We offer an eye for detail and an artist’s touch when it comes to such delicate cosmetic treatments and we look forward to helping you decide if this is a suitable option for you. The cost depends on the technical demands of your individual situation. We strongly believe in quality comprehensive care and so we have teamed up with some of Melbourne’s finest master ceramists and dental laboratories to deliver a quality, personalised experience. 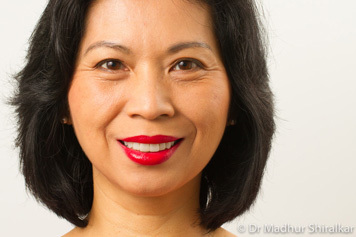 We offer outstanding porcelain veneers in Melbourne and, as a result, have patients from many suburbs across the city. 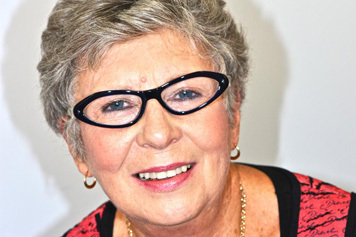 If you are considering porcelain veneers, give Dentist Collingwood a call. Phone (03) 9077 9953 or contact us online to book a consultation.